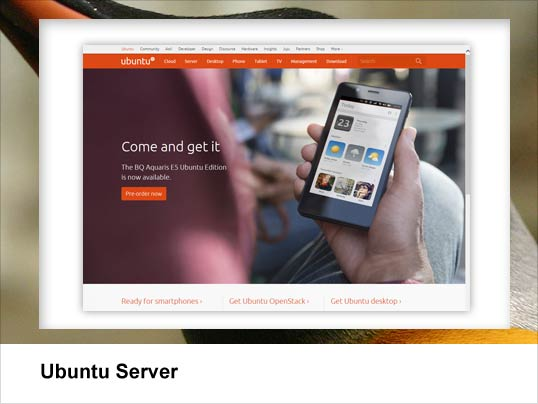 The Linux Small Business Servers powers many iconic organizations including Amazon, Facebook, Google and the London Stock Exchange. With their modest requirements, immense power and flexibility, these servers remain the first choice for SMEs. 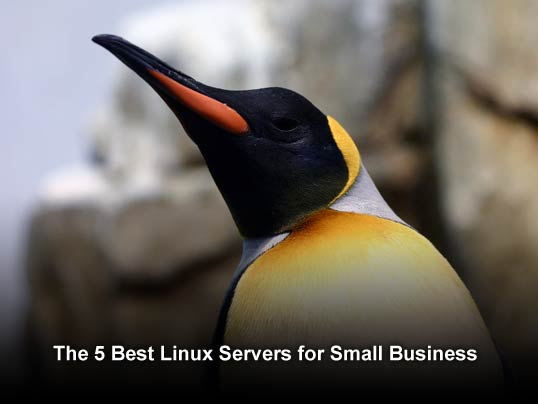 Here in this write-up, we will discuss about the top 5 Linux servers for small businesses. ClearOS is a browser-based platform and works as an integrated network, gateway and server platform. The feature-packed server offers sophisticated services including web, printing, messaging and file servers, internet & networking gateway, Virtual Private Network, powerful resource-management at user’s end, network charting, databases and a lot more. 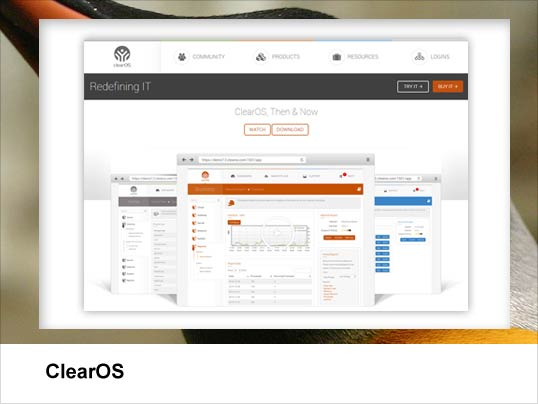 Managed and maintained by ClearFoundation, ClearOS is based upon Red Hat Enterprise Linux and CentOS. You may use its current stable version – ClearOS 6.6, and a beta version numbered 7.0. The basic license – open source community version – is offered for free with a choice to purchase advanced support options. The system can be installed on your existing hardware or you may choose to buy the hardware/software bundles from ClearCenter Store. ClearOS tops this list with its superior administration interfaces and documentation. A community forum is also available to seek necessary assistance. Therefore, ClearOS is the ideal choice for less-experienced administrators who want to get things done without much fuss. If you are a frequent reader of Linux updates, you know that Ubuntu remains in news for all goods and bad. The server is undoubtedly a powerful one, and can be an ideal for most of the requirements. But there are certain factors that prevent admins to go for this server. On the positive side, Ubuntu Server has the great system and admin panel, and is quite easy to use. But the server is primarily designed for more advanced work and thus it offers a plethora of features that most of us are not even able to use. However, so many options make it easier to tailor the system as per needs. Using Ubuntu is a piece-of-cake; no obstacles to pass through, no registration and no salespersons. Simply download it and install on your existing hardware. Better news – the server comes in wealth of versions including desktop, server, Xubuntu, Edubuntu, Mythbuntu and Lubuntu to name a few. All of these versions require same software repositories and are compatible to each other. Ubuntu’s community is one of the best you will ever find, thanks to millions of users and support team. Users may also choose to buy advanced support services that is offered by Canonical, the company who developed Ubuntu. If you have advanced tasks to do and if you are seasoned with playing with those, Ubuntu is something you should look for. Also, if you hate waiting for your issues get resolved in community, Ubuntu is for you. But if you are novice and have very few things to play with, a clear no no. RHEL is the biggest fish in commercial Linux distro ocean. It has the features that other distros offer, and it has the best-in-the-class support system. Red Hat keeps tweaking with its flagship open source server and launches new features every now and then. A whole long list of Linux distributions has emerged from it, including some free clones like Scientific Linux and CentOS. Each product comes with a long 10-year support cycle, with an option to extend the support phase for another three years. 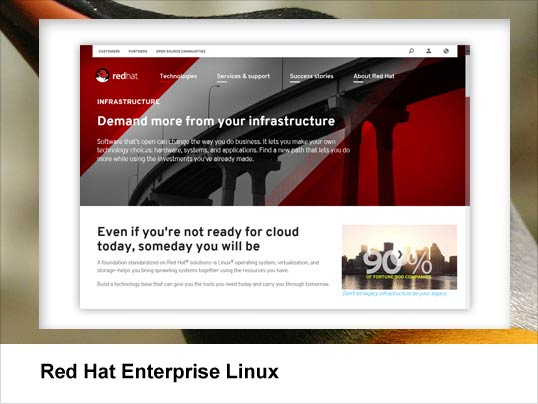 The standard Red Hat Enterprise Linux subscription costs $799 per year and the price is totally justified by the features, web and phone support you get. Due to being a big player in open source distro marketplace, Red Hat works with leading hardware suppliers including Dell, IBM and HP. This means, you will get the high virtualization capabilities, more reliability, stability and superior performance. However, despite of its superior features and great support service, RHEL is not for novice players. Administration, management and configuration may seem to be a bit tricky. More importantly, it’s designed for more sophisticated activities and better performance, you will need someone too good to handle a server of this potential. 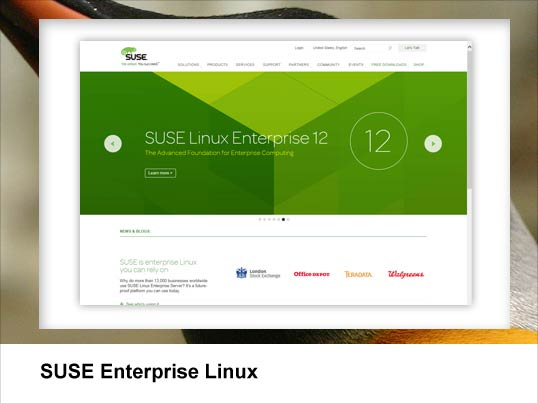 SUSE Enterprise Linux is yet another big player in open source server marketplace. Similar to RHEL, its superior support system never lets you down. And better part – you get great documentation and management tools for same price as RHEL. But here is a big difference between SUSE and RHEL – a point-of-service edition for retailers. The service is affordable even for a retail shop if we eliminate the expenses of integrating the products and inventory, and buying the updates. SUSE POS supports touchscreens and it offers a centralized admin panel, deployment tools, network booting and diskless terminals. Excellent graphical configuration is a plus. One more feature that makes SUSE a highly desirable service it SUSE Studio. The service was mainly introduced to create custom SUSE images, but then grown up to provide additional features like building custom portable and cloud-based application stacks. At the same time, SUSE Studio is capable of building virtual apps for VMWare, Xen and KVM. So if you want to stick to the basic and are willing to leave the fancy stuff, SUSE Enterprise Linux is to go for. Debian and CentOS share the fifth spot. Both are ideal for admins who don’t need much tweaks and commercial support from their Linux server. These servers are lean and efficient, and highly customized to meet your needs. They have good community support and plethora of documentation. Debian is much like Red Hat – a Linux distribution foundation – with some small differences. Unlike Red Hat, Debian is completely maintained by the community and has no support from the developer. It is widely used as an Ubuntu alternative because all features of Ubuntu are offered with less fuss. It doesn’t have the fancy stuff but still is good enough to execute basic tasks for a small business. 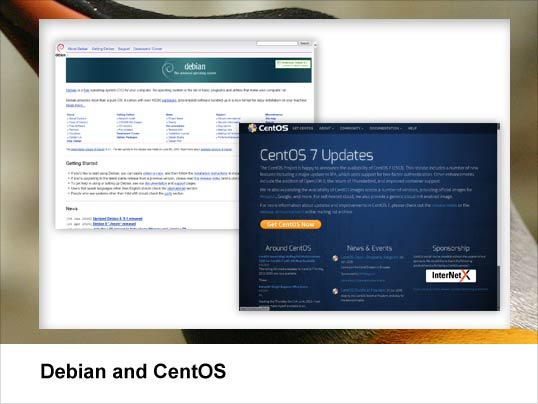 CentOS, on the other hand, is just a clone of RHEL. The server follows the footsteps of RHEL, but with some care. It has already removed all traces of Red Hat branding and cannot use Red Hat Network. The support service and documentation is up to the mark and you won’t have to wait too long to get your issues fixed. Ideal for small businesses with limited requirements, CentOS is a light operating system perfectly suitable for basic needs.